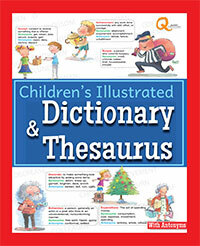 This is a remarkable book with the qualities of a dictionary , and a thesaurus . Each alphabet has around 20 words their meanings clearly stated along with their synonyms and antonyms. the book makes an enjoyable read not only text -wise but also due to the meaningful illustrations.